If a designer or brand is thinking about working with a manufacturing partner, it’s very beneficial to understand how the outsourcing part of the manufacturing process works. Although it might not be obvious right away, especially for designers who are establishing their careers or for new brands that have not worked with a manufacturing partner before, outsourcing plays a major behind-the-scenes role in making sure that your design is executed correctly, on time, and within budget. It is important to outsource all the materials involved with your design or collection before production begins. Why is this so necessary at the start? Because it takes time. For example, it can be difficult to find a good fabric supplier that meets your requirements, and then it can be even more difficult to find one that will sell fabric in smaller minimum quantities. In order to make sure that you have the exact materials you want at the quantity you require, this early stage of legwork is crucial. 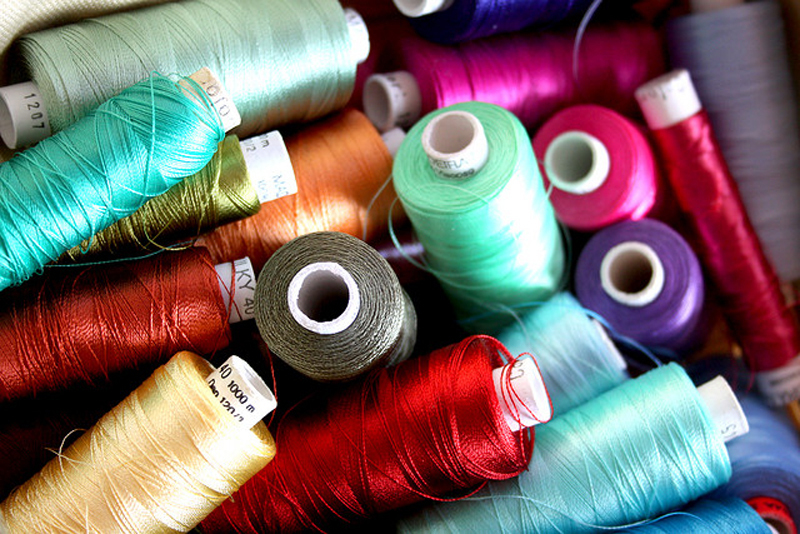 There are a few different ways a brand or designer can approach outsourcing the fabrics for a project. You could start from samples, using even simple ideas, or you could use small fabric swatches as samples. From there, you should contact different suppliers to make sure everything you need can be delivered within budget and can reach the factory on time for sampling and production. This is not an easy process unless you already have several different contacts with suppliers, and then, on top of that, you have to know that for every type of fabric there are different suppliers as well. It’s always best to diversify your contacts when outsourcing your manufacturing so you have the flexibility necessary to achieve your goals within the time frame you have set. Fortunately, we agencies have many contacts in the field. This is why it can be beneficial to work with an agency that already has strong relationships with the manufacturers, possesses deep expertise in the processes involved, and can help you navigate these steps with ease and confidence. We are here to help you succeed and grow, and we put all of our talent and knowledge about the outsourcing process to work in order to make sure that you do. If you’re thinking about outsourcing your manufacturing, feel free to reach out! We’d love to discuss how we can help.